Sure, you and your gang get excited about riding Splash Mountain, visiting Cars Land, catching a show or two, checking out the two park’s thrill rides, and experiencing many other Disneyland highlights. But there may be no higher highlight, especially for children, than meeting Mickey Mouse and his gang. And there may be no better way to get up close and personal with Mickey's posse than at a character meal. One restaurant in each of the two theme parks and the three hotels includes character meals. But not all participating restaurants feature the characters at all of the meals. If you want to start the day with a hearty breakfast and a hearty hug from Minnie or one of her pals, you're in luck; several eateries offer morning meals with the characters. Only one of the restaurants, however, offers dinner. Meet Minnie and her friends while you enjoy a breakfast buffet. Even though the restaurant is open for lunch and dinner, the characters are on hand only at breakfast. 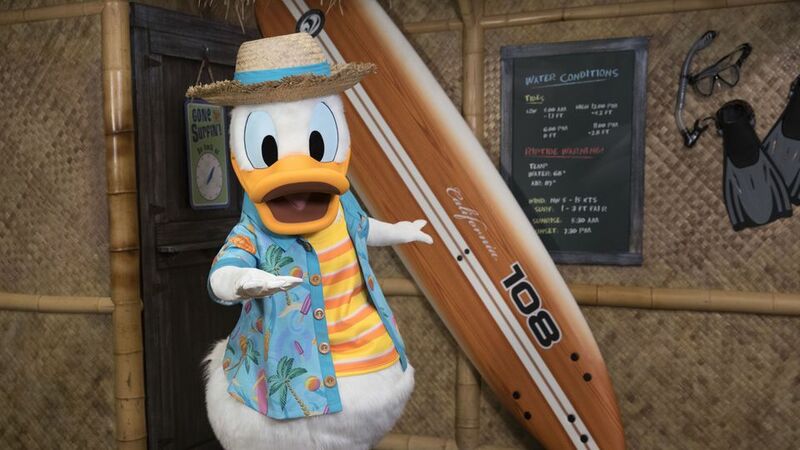 Another breakfast-only place, visit Donald and his friends on the beach for a buffet meal to start your day. The restaurant offers Mickey Mouse pancakes and waffles, egg dishes, parfait, and more. Chef Goofy is the star here, but many of his buddies come to visit as well. The rambunctious restaurant features a large buffet with some unusual choices, including Mickey-shaped waffles, macaroni and cheese pizza, and peanut butter and jelly pizza. Learn about Mickey's latest adventures straight from the famous mouse himself while you dine on omelets, baked goods, and fresh fruit. This may seem kind of obvious, but don't forget to bring your camera or make sure your smartphone has enough of a charge. If your kids collect autographs, remember to bring their books also. Allow the characters to make their way to you. They are great about ensuring that they visit every table, but they aren't too fond of unruly kids who chase after them. Stay calm. They will find you and your children. Be prepared for a noisy experience. Consider reserving a late or early meal. It may be less busy, and the characters might spend more time with you. The restaurants that offer character dining aren't necessarily the best places to dine at the resort. The food is secondary, since the focus is more on taking a photo and spending some hang time with Pluto. But if you want to discover where to find some great food (and there is some great food to be found), check out this roundup of the best Disneyland dining.